Most post-apocalyptic films and games focus on the horrors and hardships of the immediate aftermath of a global catastrophe. 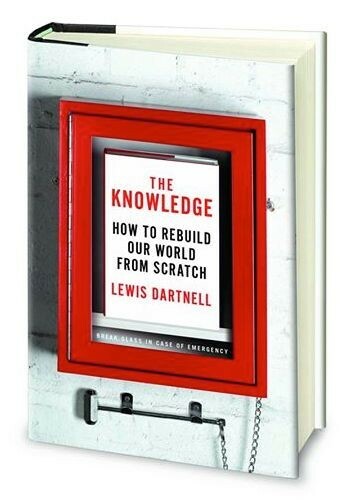 The Knowledge looks at the longer-term recovery of society, and what you can do over the generations to reboot civilisation from scratch. 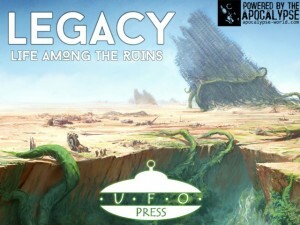 So this Kickstarter project really caught my eye – Legacy: Life Among the Ruins is a tabletop game where players work together in a changing world to rebuild a life for themselves. The game is very nearly fully-funded on Kickstarter and so if this appeals to you make a contribution right away! This guest post is from the game’s designer, James Iles. Hi! I’m the designer of Legacy: Life Among the Ruins, a tabletop roleplaying game about the survivors of a reality-twisting apocalypse, the families they form, and the new world they will create as the ages turn. While most post-apocalyptic media focuses on the immediate aftermath of an apocalypse, with its associated grim survivors making hard choices, I thought it’d be interesting to explore the process of rebuilding: the difficulties people face understanding the old technology of the world before, the new challenges the apocalypse has created, and how the world changes from generation to generation. To accomplish this, Legacy gives every player control of both a Family of survivors and a Character chosen from that Family to deal with their problems. A Family is created by choosing one of five reactions to the apocalypse – holding on to the old lore, turning to martial strength for security, finding refuge in faith, seeking and trading valuable things, or trying to impose law and order. Each archetype comes with its own playbook of traits and abilities, with customisable cultures, lifestyles, resources and needs. Each Family has something it urgently needs and cannot easily get, and that’s where your Character comes in, picked from one of eight basic archetypes and customised by your choice of abilities and gear. While your Family can accomplish broad, sweeping changes in the world via diplomats, spies, scientists and soldiers your Character excels at more precise, dangerous activities – exploring crumbling ruins, conducting delicate negotiations in enemy territory, and hunting down the horrifying monsters created by the apocalypse. Legacy promises rapid, flavourful gameplay, with a system that produces tough choices and unexpected opportunities. If you’re interested the Kickstarter has two days left, and provides the current draft text of the game free to all backers. Check it out!